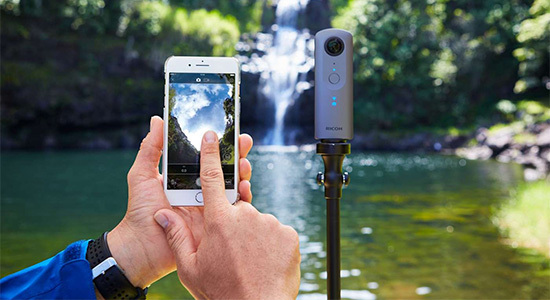 The Theta V 360-degree spherical camera is easy-to-use, lightweight, and compact enough to carry everywhere. 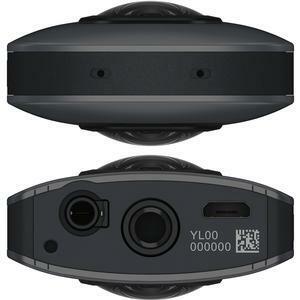 Enhancements include two new 1/2.3-inch image sensors and main processor, which produce more realistic "as-if-you-were-there" 360-degree content. 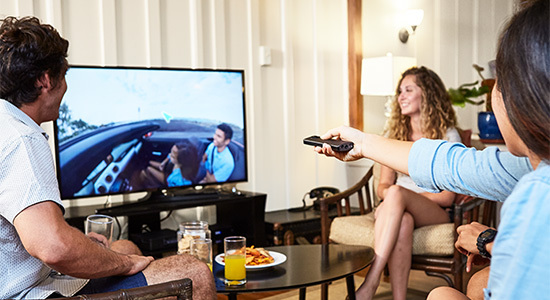 High-speed data transfer allows you to quickly and wirelessly upload 14 megapixel stills and high-resolution 4K videos for immediate showing and sharing. 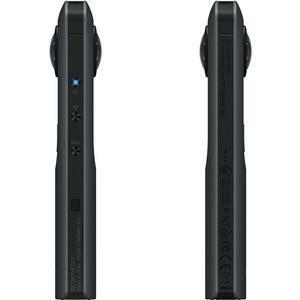 Omni-directional audio recording functionality enables 360-degree spatial audio. 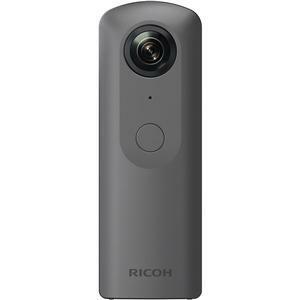 The camera can connect to a mobile device using either Bluetooth or wireless LAN to allow for flexible operation based on user preferences. 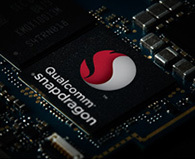 In addition, the Theta V has a highly expandable operating system so that it can receive future performance enhancements through firmware updates. The bright F2.0 lens provides exceptional low-light shooting capabilities, with a high-sensitivity shooting range from ISO 3200 (still images) to ISO 6400 (videos, live streaming). This model is equipped with a new gyro sensor in addition to the conventional acceleration sensor. 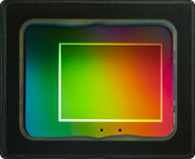 A number of optional shooting functions are available, including: DR correction, Noise reduction, HDR rendering, Interval shooting, and Live streaming. 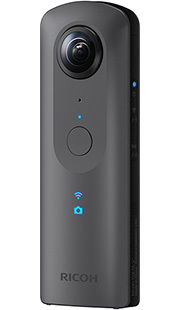 With up to approximately 19GB of internal memory the Theta V is capable of holding up to 4,800 still images or 40 hours of 4K HD 360-degree video, which can then be transferred and directly viewed on a monitor such as TV, mobile device, or uploaded directly to social media sites. 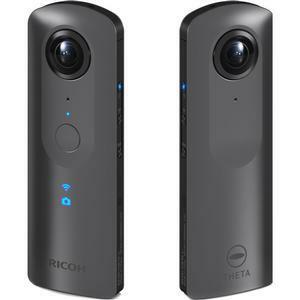 The THETA V also functions as a remote control which can be used to select the image file and move displayed 360-degree image up, down, left, and right. It can also zoom-in and out. 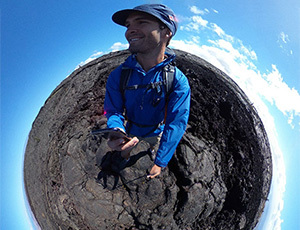 Create and share images effortlessly with the dedicated Theta App or edit, add filters and background music to your 360 Degree videos with the Theta App. 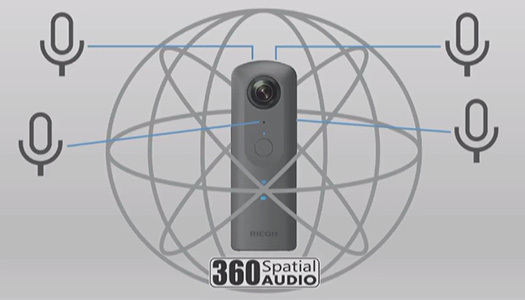 360-degree spatial audio lets you record sound from all directions. 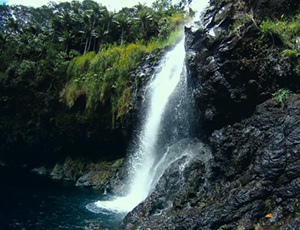 Realistically record images and audio of the world surrounding you to recreate inspiring moments. Record high-resolution, 360-degree still images equivalent to 14M output pixels. A completely new algorithm delivers low-noise, high-resolution, and high-quality images from low to high sensitivity. Video performance has been significantly improved, making 4K (3840x1920, 56Mbps), 30 fps high-resolution 360-degree shooting possible. 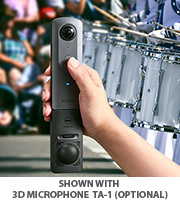 Enjoy recording realistic spherical images. Four built-in microphones make it possible to record audio independently from four directions. This is then converted to a format that recreates natural 360-degree spatial audio. This is a four-direction, 360-degree spatial audio microphone designed specially for the THETA V. Use it to record even higher quality audio with a more realistic feel. NOTE: Do not connect any device other than the 3D microphone TA-1 to the microphone terminal. Image data recorded can be played back in 360-degree on a monitor such as TV. 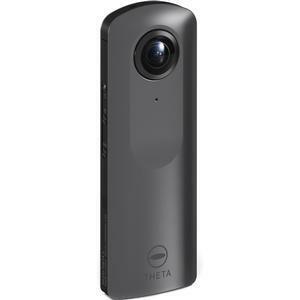 The THETA V also functions as a remote control which can be used to select the image file and move displayed 360-degree image up, down, left, and right. It can also zoom-in and out. In addition to wireless LAN, Bluetooth is now adopted for constant connection to your smartphone. Enjoy instant remote shooting and change shooting settings wherever you are. This model supports 4K compatible 360-degree live streaming. Output the 4K (3840 x 1920 pixels), 360-degree image in real-time. Take up to 4,800 still images or up to 40 minutes of 4K video (130 minutes at 2K HD resolution). 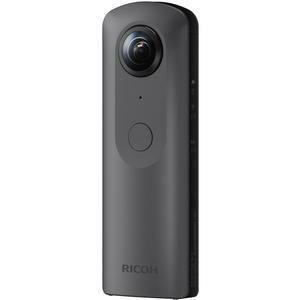 The RICOH THETA V is compatible with the Google Street View app. The app enables you to record and publish 360 video (as Street View) to Google Maps. 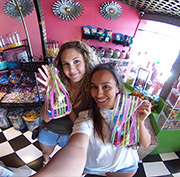 Join people from around the world in mapping and exploring new spaces with the RICOH THETA V and Google Street View. The TW-1 (sold separately) is an authentic waterproof housing with IPX8, JIS Class 8 equivalent protection class for shooting underwater to 30 m. The housing features AR anti-reflective coating and a hard coating.